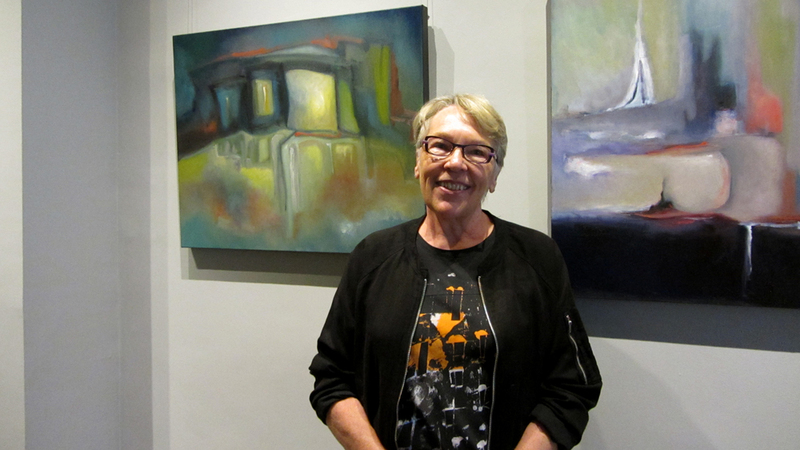 In the prior edition of ArtScopeTO, I spoke with Hamilton-based painter-photographer Hanna Kostanski, and this month’s featured artist at The Urban Gallery is abstract painter Chris Marin, and her series Passages. 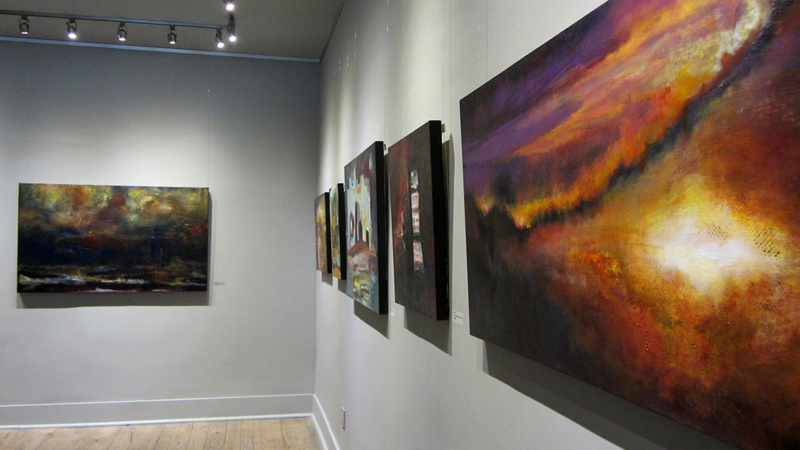 Passages, the titular work of Chris Marin’s striking abstract series at The Urban Gallery (200 Queen St. East). The exhibit runs until Sat. Oct. 28, 2017. 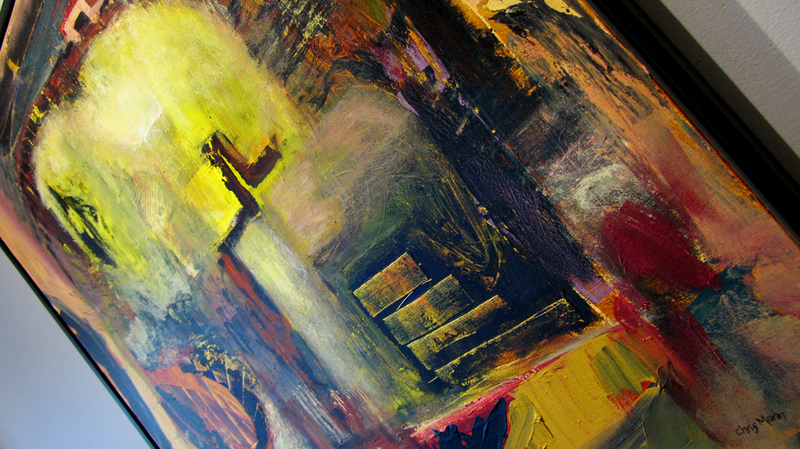 Marin’s large canvases beg careful attention because each spawns subjective impressions, but for the observer it’s less about finding meaning within the image; at least for myself, an abstract image elicits curiosity, often from repeated glances, vantages, and examinations close and far; the cluster of colours, lines, brush strokes, and layers which collectively convey a mood that’s unique to each individual. 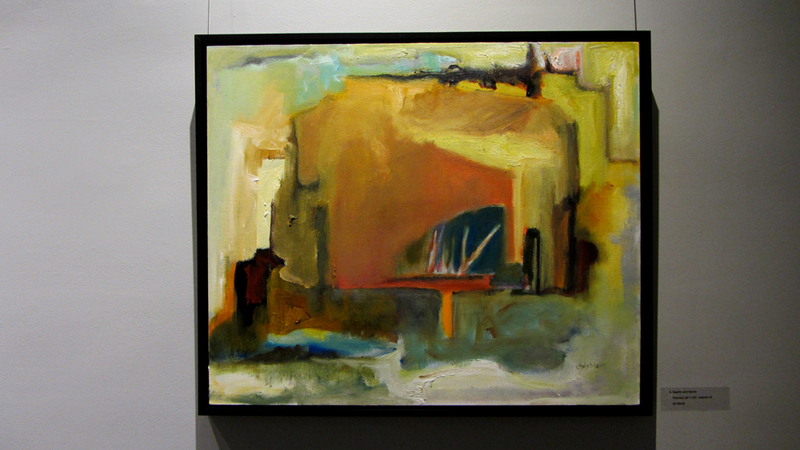 Painting from Passages, an exhibition of Chris Marin’s striking abstract series at The Urban Gallery (200 Queen St. East). The exhibit runs until Sat. Oct. 28, 2017. There’s no wrong or right impression, no precise message; but when a particular work clicks with an individual, there’s state of fascination; the eyes playfully scan and rescan contents, refocus on colours and tones; what may linger isn’t a stark whole portrait, but a flash of colour, a quirk within its smooth content, a peculiar object or fleeting pattern. In my conversation with Marin at the exhibition’s launch, we discuss her travels, influences, her organic relationship with abstract painting and use of watercolours, acrylic, and walnut oil paints, and finding a space to create, which doesn’t necessarily require a big room or a world of absolute silence. Artist Chris Marin, whose striking abstract series runs at The Urban Gallery (200 Queen St. East) until Sat. Oct. 28, 2017. 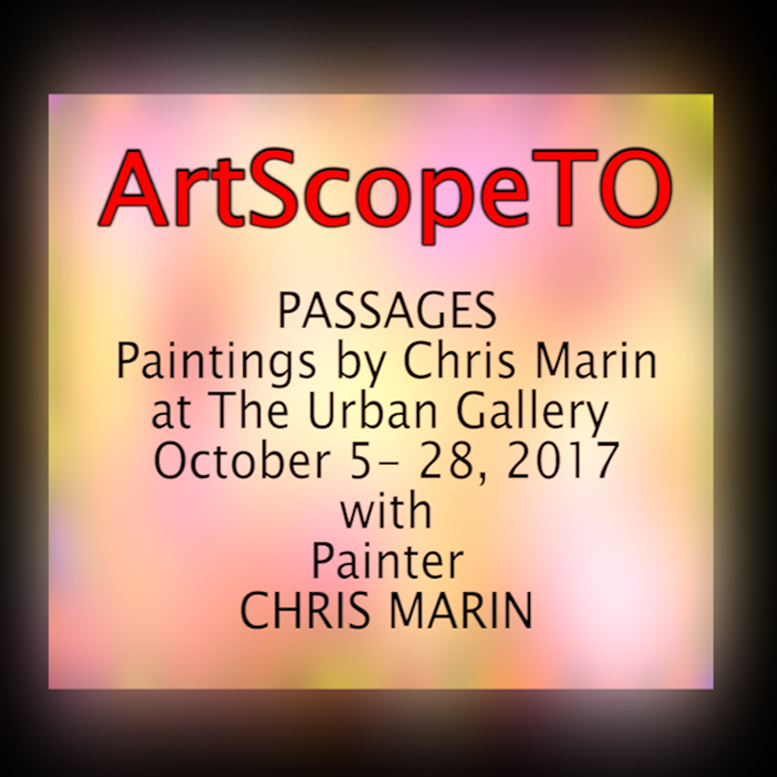 My podcast with Chris Marin is available on Google Play, iTunes, Libsyn, and YouTube, and her work can be seen October 5 – 28 at The Urban Gallery, 400 Queen Street East. Special thanks to Glenda Fordham at Fordham P.R. for facilitating the interview. See Fordham’s blog for additional photos and a video tour with Marin. As detailed at the end of our conversation, my next podcast for KQEK.com will feature the second half of the in-store conversation & audience Q&A between I Lost It at the Video Store author Tom Roston and NOW Magazine’s Senior Film Writer Norm Wilner at Toronto’s Bay Street Video. 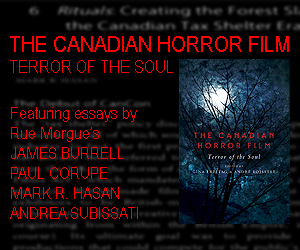 This is part of a lead-up to Video Store Day, and when the podcast is live this coming Sunday Oct. 15th, I’ll make available for free streaming my experimental documentary BSV 1172: Your Friendly Neighbourhood for about a week. 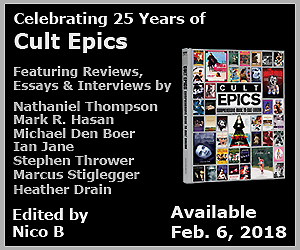 It’s a film that offers a different, less tradition take on the daily activities within a classic bricks & mortar video store using vintage 1980s video gear. Coming next: reviews of two Wonder Woman films – the hit 2017 feature film starring Gal Gadot, and, uhm, the stillborn 1974 TV pilot starring Cathy Lee Crosby.